Neutralize 3 NME's without lowering sights. Stay linked to your team the entire round. Win the round while the last man left on your team and outnumbered. Neutralize 20 enemies after being revived that had incapacitated you earlier in the round. Win 50 rounds while playing Defense (Defend, Ambush, or Counter). Win 50 rounds as an Automatic Rifleman. Win 50 rounds as a Grenadier. Win 50 rounds as a Rifleman. Win 50 rounds as a Squad Designated Marksman. Win 50 rounds as Squad Leader. Be linked to a teammate when they complete an objective 50 times. Neutralize 5 enemies in one round (awarded on after enemy is confirmed). Complete 50 objectives as a Rifleman. Neutralize the VIP 50 times. Win a match without ever being neutralized. Recover and Extract 50 carryable objectives. Complete 30 consecutive rounds without any ROE violations. Complete 30 Squad Leader assigned objectives. Damage at least 2 enemies with a single trigger pull 50 times as an Automatic Rifleman. Neutralize 50 enemies with sighted headshots as a SDM. Neutralize two enemies with one grenade as Grenadier (awarded on after enemy is confirmed). Dive on a live grenade saving at least one teammate from certain death. Extract 50 times as the VIP. Win 100 matches (any mission/map). Complete an objective after being revived. Capture 50 Take & Hold objectives. Qualify Expert on all training missions (BCT & AIT). Qualify Basic Rifle Marksmanship by hitting 23 targets. Qualify as Expert in Basic Rifle Marksmanship by hitting 36 targets. Qualify as Sharpshooter in Basic Rifle Marksmanship by hitting 30 targets. Qualify Basic Rifle Marksmanship with the M16A4. Qualify Expert with the M4 in Tier 1 Advanced Rifleman. Qualify Expert with Auto. Rifle in Tier 1 Automatic Rifleman. Qualify Expert with M320 in Tier 1 Grenadier. Qualify Expert with M16DMR in Tier 1 Squad Designated Marksman. Qualify Expert on every station in Weapons Familiarization. Qualify Expert on the Combat Life Saving course. 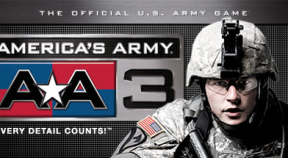 Qualify Expert on every Basic Combat Training level. Accumulate 2 hours of playtime in each MOS role. Qualify Expert on the Obstacle Course. Play a match on every map (any mission). Accumulate 20 hours of online play. Give all of items in an ES2 object you find to teammates. Take an item from an ES2 object previously reported by the other team. Neutralize another player within five meters of an ES2 object you have reported. Find five useful ES2 objects in one round. Be part of a squad that finds five ES2 objects during one round. Be part of a squad that earns "Cleen Sweep" in every round in a match. You or a linked teammate finds your first ES2 object. Report at least 50 ES2 objects. Report at least 100 ES2 objects. Report at least 500 ES2 objects. Report at least 1,000 ES2 objects. Soldier has completed ES2 training in MOUT. Soldier has revived a teammate under the cover of an M106 or M83. Fire at least 30 rounds and hit the NME with every round. Complete the winning action in any COOP mission without firing a shot or throwing an M67. Complete the winning action on any COOP map or mission without being hit by any bullet or grenade. Complete the winning action on Airfield or Ranch while not linked to a teammate. Be on the winning team on a COOP mission without throwing any smoke grenades. Rescue the VIP from a human NME team after they have revived him. Always wait for a teammate to revive you instead of using the MEDEVAC option in COOP play. Hit a head shot neutralization at a distance between 300 and 400 meters. Hit a head shot neutralization at a distance between 400 and 500 meters. Hit a head shot neutralization at a distance over 500 meters.